You are 70 and a half and now is the time you have to take money out of your IRA. Your circumstances are such that you are the survivor and will use Table I, single life expectancy. The theory of the RMD is for the government to receive taxes on the portion of your retirement savings that were tax deductible when you saved it. Got to pay the piper one way or another. This post concentrates on the savings in your traditional IRA not Roth IRAs. Tap your IRA’s and spend the RMD. 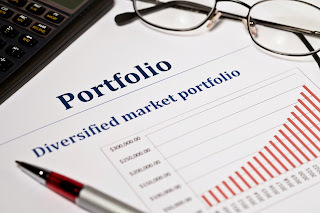 Simply withdraw the amount you are required to withdraw without consideration of portfolio income or portfolio growth. Will you run out of money? Will your RMD income keep up with the increasing cost of living.? I am using a starting value of $1,000,000. This table and all tables in this post use the single life expectancy table provided by the IRS in pamphlet 590 see link . Each year you get older you must take out a larger percentage of your IRA assets. You can take out cash or you can move a security out of the account. You must pay tax on the distribution no matter what you distribute cash or a security. As you can see from this table. You will not run out of money in the next 20 years. Also note that if you are counting on this as income to meet required expenses, you will have trouble meeting your expenses after about 10 years when your portfolio value is greatly reduced by the previous years’ distributions. Your total income over the next 20 years will be $906,190.56. All long term planning has to use assumptions. Some will be right on and some will miss the mark. Markets will have swings during the next 20 years so all long term assumptions can be wrong. With that in mind, I have back tested some of these assumptions and report on actual results when I can. TOTAL RETURN REQUIRED TO KEEP YOUR PRINCIPLE AND COVER YOUR RMD. Let’s look at our $1,000,000 portfolio with the idea that many investors use: earn enough on their assets that they can cover the RMD and have the same amount of principle in the IRA in 20 years. I ran those numbers so that you can see how much total return you need to create each year. For the first few years the attempt to keep your principle in intact and make the RMD monies available through a combination of capital gains plus income (total return.) The market has averaged about 7% annual total return. The last ten years get a little dicey. By 2036, in twenty years, your IRA needs a total return of 18.18% to generate the required RMD without invading your principle. It seems highly unlikely to achieve this return. Yet, I started investing in the early 1980’s when I bought a Certificate of Deposit that paid 22%. My first mortgage was 13.75%. Never say never. If those dynamics return in the next 20 years, you just might make it. By the way, your total income would be $2,221,987.03. Of course actual returns never follow the predictions exactly. I looked at two other scenarios. What if you manage your IRA holdings so they create a reasonable amount of income from interest, dividends, and covered call premiums. I am using a 5% yield for my calculations. Will this income cover the RMD requirements? What will happen to your principle? I used 5% based on my personal experience with my own family’s IRAs as well as those of former clients. We made between 5.8 and 6% cash income on IRA’s that hold basically 60% stocks, 20% real estate, 10% bonds, and 10% cash in 2015. Your income increases a little bit, ten percent, over the income you would receive if you just liquidated assets to meet your RMD. This translates to about $4,500 per year. However, spending power is challenging. Let's say you want to count on half of your first year RMD of $58,824 or $29,412 per year, and your expenses increase 3% per year on average, you will need $58,824 in 2036. Without other income you will have to cut expenses. You will not run out of money in 20 years. With simple liquidation your assets should still be about $ 93K whereas if you create 5% of income, your assets in 20 years will be about $104K. Your income will be $995,503.25. In my last scenario, I use a total return of 7% which is the average return on stocks over time. See the table below for the results. Using the assumption of a total return of 7%, you not only will not run out of money, you should retain about half of your original principle in 20 years. Your spending power is preserved as your income in 20 years of $93,728 will be almost double your income in 2016. Total income would be $1,839,696.55. This scenario seems to me to be the most realistic scenario for RMD planning. I find these studies helpful. As a compulsive planner, I use and adjust my analyses constantly. How you manage your IRA portfolio will depend on your or your adviser’s income investment skills and your investment goals. If you are a “sinking fund investor” who is just fine with spending down your principle over time, your next 20 years should be well served with a $1,000,000 portfolio. If you intend to keep your principle intact, get busy making sure inflation soars as it is very difficult to create the returns needed with the market dynamics that exist today. If you want to fund your retirement during these next 20 years and still have a sizeable portfolio to pass on, then monitor your progress and be sure to get about a 7% return.